Have you ever consider about the difference between human hair & synthetic hair? Which one will suitable with you? Maybe both of them. Each kind has it own advantages which will be the right choice at different times. Depend on your budget and needs, they could be great choices for you. You also can have both of human hair & synthetic hair that using for difference purposes. Let find out which kind of hair will be better for you. Human hair brings you the most natural look and feel when using. Its appearance looks very soft and shine with the movement that is really natural. You can cut and styled it to suit your personal tastes. Human hair is expensive but with good care, it can last 1-2 years. Remy human hair is expensive but the quality is deseved with what you spend. Natural human hair is so strong that you can makes style, dye, bleach them but not affect to the hair. One more advantage of human hair is no tangle, no shedding because it is remy hair. The cuticles all running in the same direction so when you comb or wash, it never become tangle and shedding. How many kind of human hair in market now? 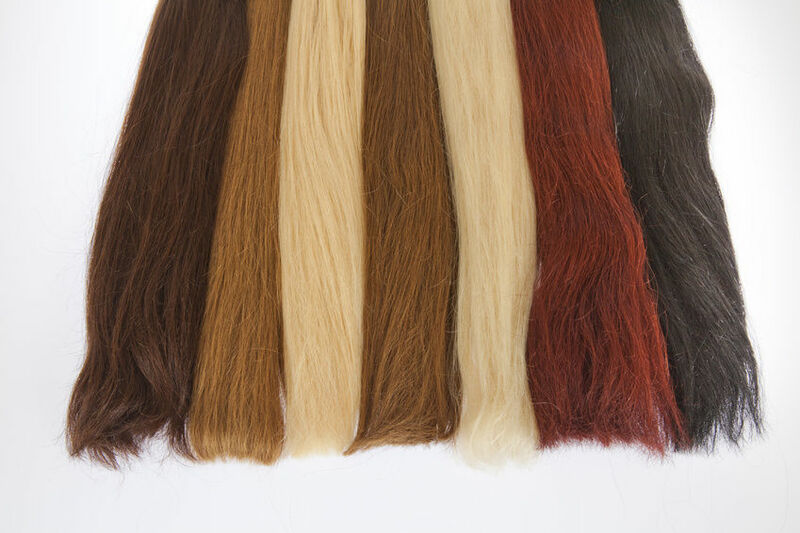 There are so many kind of human hair in the market, so how do you know which one is good and suitable with you? At current, most popular hair brands is Brazil, Peru, China, India and Vietnam. Brazilian hair is silky and shining with strong texture, you can design it with your hairstyles without change quality. Another country in South Ameria also supply hair is Peru. Their hair is considered as best quality hair now. It is silk, soft, shining and long life time. Peruvian natural hair texture almost is wavy and curly, suitable with African-American customers. 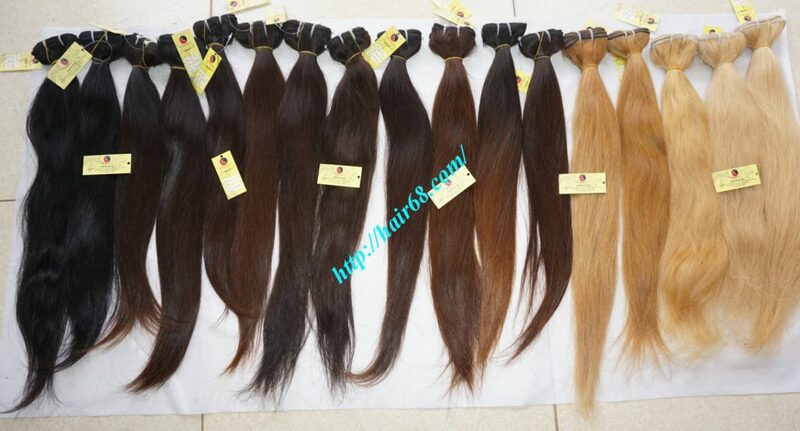 The next one is China hair, it has a large proportion in the market with many kind of hair to be advertised. This kind of hair looks beautiful but it is often processed much from natural human hair so its lifetime is short. China hair has cheap price but sometime it is mixed from synthetic fiber and non-remy hair. Other Asian brands is India, with hair quality is quite good, not shine as Brazilian hair but it is more silk than Chinese hair. With today technological, synthetic hair become more popupar than the past. It is almost like human hair and gave some advatages really convinience for customer. Sometime you can’t realise if a hair extension is human hair or synthetic hair. Only if you work long time in hair extension or have the human hair next to it to compare. Sythetic hair like has it own memory of texture, so it could keep the fold for a long time, even it is bad weather. Howerver, synthetic hair never could be like human hair, it it lacks in versatility. The flow when you moving or acting looks unreal and the opposite person could easily find out it is not real hair. This kind of hair extension also has short lifetime of using. With proper care you it can last about 4-6 months, very short if compare to human hair. If you are looking for virgin remy hair extension, you could consider hair from Vietnam. We supply all kind of hair: straight, wavy, curly,… and our hair was accepted by customer all around the world, even difficult demand market as America and Europe. 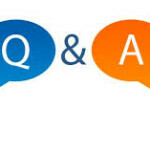 Thank for reading our blog today. Next week we will give you some advice when choosing hair product. Don’t forget to add us to bookmark. See you next time!